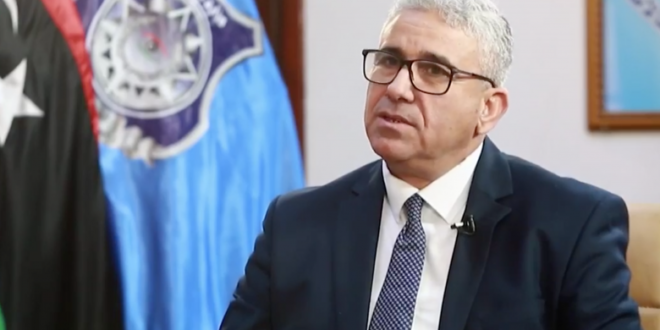 The Interior Minister of the Libyan Presidential Council's government Fathi Bashagha said unity and peace are very vital, but they don't come through gimmicks and fait accompli policies or military escalation. In a statement on Wednesday, Bashagha said the attack on Tripoli is illegitimate and unlawful and thus its consequences won't be legal. He warned the attacking forces that they will be forcefully thwarted if they don't return to their positions, saying Tripoli is a red line. "We are not going to sit idly by to see millions of children, women and elderly people intimidated by Haftar's attacks and shelling." Bashagha added. He indicated that they had captured underaged boys used by Haftar in his attacking forces as a form of "mercenaries." "It's heartbreaking to see children taken advantage of for someone's personal gains." Bashagha remarked. He earlier called for listing all people involved and cooperating with "outlaw forces" so that they can be brought to justice.